Are you familiar with the Hygge lifestyle? I’ve seen this term popping up all over the internet, and for the longest time, I had no idea what it meant. Frankly, I didn’t even know how to pronounce it. So if you’re in that same boat, let me give you a quick rundown. A feeling or moment that is cozy, charming, or special…I can get behind this. As I mentioned in my earlier post, 14 ideas for date night at home, I am a homebody. Staying in, lounging on the couch in my sweats, and spending time simply hanging out with my husband makes me a happy camper. So as I started learning more about the hygge lifestyle, and its celebration of all things cozy, comforting, and familiar, I knew it was for me. Many of you mentioned on my Date Night at Home post that you also enjoy the comfort of staying in. After learning this, I couldn’t wait to share my newfound love of hygge with you. While doing my initial research, I learned that there are several different components to the hygge lifestyle. And to prevent information overload for you, my wonderful reader, I decided to focus on just one element today: creating a hygge home. So if you’re curious about this hygge movement, or you’re simply a fan of being comfy and cozy (and really…who isn’t?) then read on. 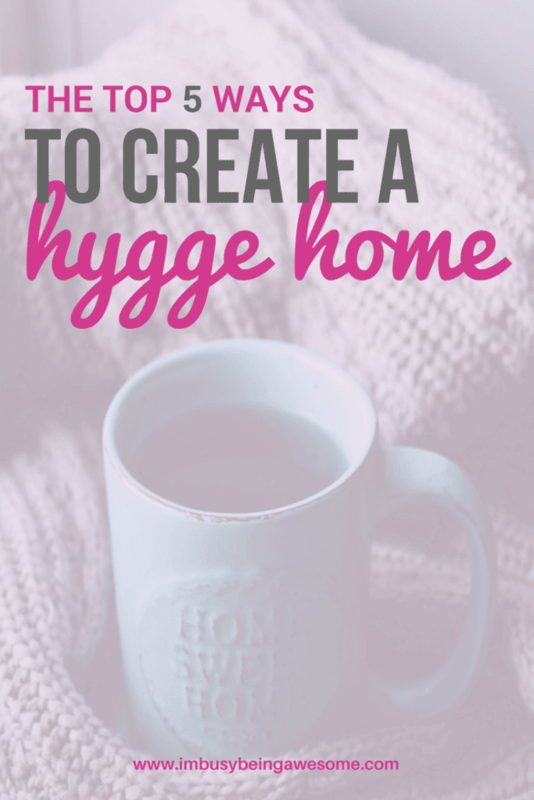 This post is all about making your home a hygge home. One of the best ways to create a hygge home is by prioritizing comfort. Stock your living spaces with plenty of warm throw blankets and pillows. Create a comfortable nook or sitting space where you can curl up, read a book, and unwind. Illuminate your space with soft, natural light. By establishing a sense of comfort for both you and your guests, you’re creating a space to linger, relax, and enjoy one another’s company. In other words, you’re well on your way to living a hygge life. I’ve mentioned in a previous post that the use of color can impact our levels of productivity, and the same is true about our level of comfort. By sticking with neutral tones – beiges, tans, grays, slate blues – you’re establishing a calm, relaxing space that’s immediately welcoming. As a person who is incredibly temperature sensitive, I’m always aware of the thermostat. Though I am pretty much always cold, the hot summers push me over the edge in the other direction; think of me as the Goldilocks of temperature. With heating and cooling costs getting so expensive, however, finding that perfect temperature balance is a challenge. So I’ve been finding creative ways to stay comfortable. I keep an electric blanket in my home office, which I switch on when I’m chilly. And in the warmer months, I have extra fans around to keep the air circulating. If you’re lucky enough to have a fireplace in your home, light a fire! Though I don’t have one at my house, my parents always have the wood stove stocked when I’m visiting for Christmas; it provides such a welcoming warmth (both literally and figuratively). What’s more, gathering around the fire is a big part of hygge living, so get that fire crackling! Speaking of my parent’s house, they also have this beautiful enclosed porch, which means it doesn’t matter whether it’s below zero in the winter or sweltering in the summer; you can still relax on the couch, look out at the lake, and remain in total comfort. In fact, many who live the hygge life enhance that natural feeling by decorating with plants. I’ve mentioned the many benefits of incorporating plants in your living space in the past, and here is yet another reason; it enhances the feeling of nature, warmth, and comfort. It creates a hygge home. Candles are also a big contributor to creating a cozy living space. In a hygge home, you will find them lit all winter long. And once the warmer months hit you find candles outside on the balcony or patio as well. Not only does the flickering candle enhance the warmth of the room, but it’s also, as Alex explains, a comforting, simple ritual that focuses on being present and content. And that’s it, friends! Creating a hygge home is all about establishing a comfortable atmosphere with cosy blankets, crackling fires, and homey touches. It’s a great way to slow down, relax, and appreciate everything you have around you. If you’re interested in learning more about the hygge lifestyle, I recommend checking out The Little Book of Hygge: Danish Secrets to Happy Living by Meik Wiking, The Year of Living Danishly: Uncovering the Secrets of the World Happiness Country by Hellen Russell, and How to Hygge: The Secrets of Nordic Living by Signe Johansen. They’re great resources to fill you in on the wonderful world of hygge. Enjoy! Want more ways to live a hygge lifestyle? Get your free checklist here! 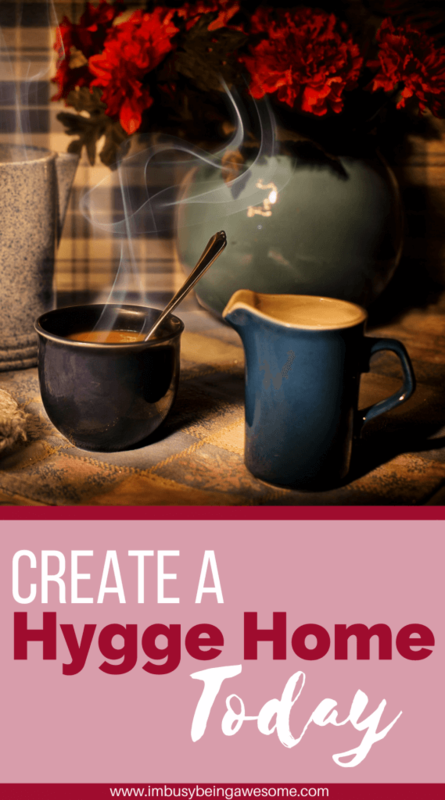 Are you familiar with hygge? 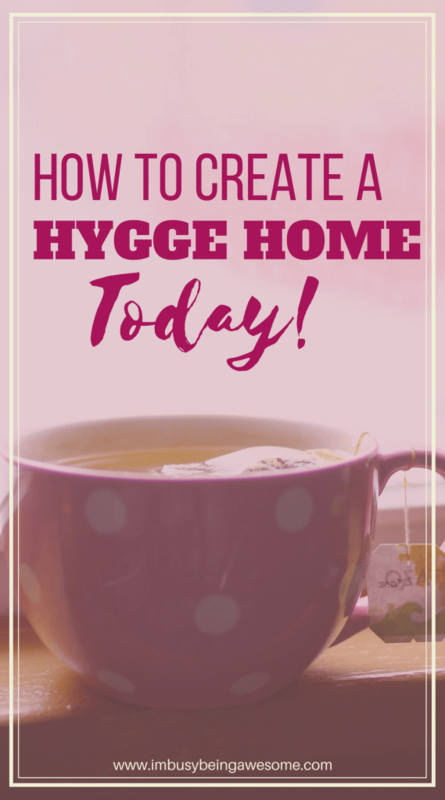 Do you have a hygge home? What advice would you give to someone trying to live a more hygge lifestyle? Let me know below! Candles are such a simple thing to add but I love how much comfort they add! Thank you for this list!! Always trying to make my home more cozy! Yes! It’s amazing how much of a difference they make, isn’t it? Thanks! I love the whole hygge concept. I’m definitely all about coziness, and I’m with you on candles! I’ve read several articles about hygge recently, and it seems like exactly what I want for my home. We’re already set on the neutrals (everything is beige in our rental house 🙂 ) and looove candles. But I want to make it more homey and comfy in general. I’m going to invest some time today to improve it. Wonderful! Have fun 🙂 I love candles, too! I can guarantee you’re not alone – I didn’t even know where to start. Ha! I had no idea!! Thanks for sharing this! !